Today we’re introducing you to one of our favourite produce lines: the adorne collection by Legrand. You’ve probably heard us talk a lot about it on Instagram, but we want to take a closer look today and show you all of the amazing features! This line is so functional and modern, it looks great in any space, and it really adds to the room’s decor and aesthetic. Win win win! One of the things we love most about the adorne collection is that everything is completely customizable. You begin by choosing your wall plate and then add in your features (i.e. switches, dimmers, USB, outlers, etc. )- wall plates can accommodate anywhere from 1 to 6 of these features. Let’s take a closer look at just a few of the many options you can choose from. The adorne collection isn’t just practical- it’s also a decor lover’s dream accessory! You can choose from over 40 wall plate finishings, in everything from powder white to french oak to brushed bronze, or customize your own to match your wall paint or wall paper. The collection allows you to not only incorporate but enhance your room’s decor. 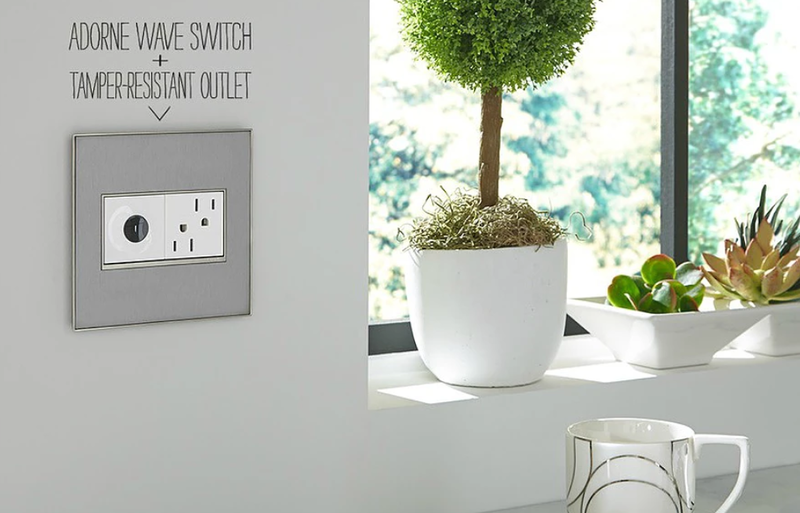 See wall plate options here. When it comes to switches, the options are endless and adorne has something for your every want and need. 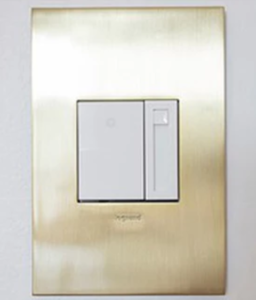 You can opt for one of their standard switches, which include touchscreen, paddles, toggles, motion sensor, timer and push buttons, or take things up a notch with wifi-ready switches, completely controllable from your phone or home assistant like Alexa and Google. 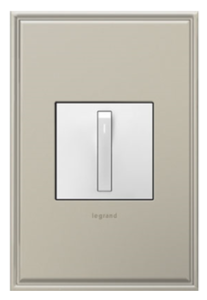 Dimmer switches are the perfect way to set the mood and control the ambiance of your space. 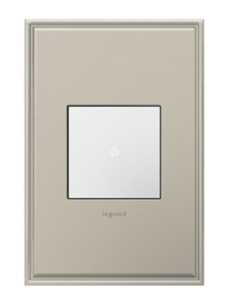 The adorne collection’s dimmer options are similar to their switch options and include paddles, touchscreen, motion sensor, and wifi-ready. 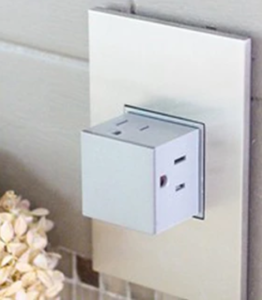 Choose between and combine a variety of outlet options including standard plug outlets, USB outlets, and pop-out outlets, which lie flush with the wall or surface when not in use. 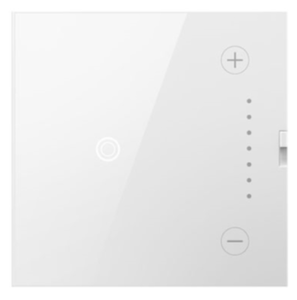 You can also explore their plus size (great for larger plugs), wifi-ready, and energy savings options! Adorne’s Wi-Fi Lighting system is compatible with their outlets, switches, and dimmers, and provides energy savings, increased security, and major convenience. For more on the system, which is compatible with Amazon Alexa and Google Assistant, check out our post here. See Wi-Fi lighting options here. 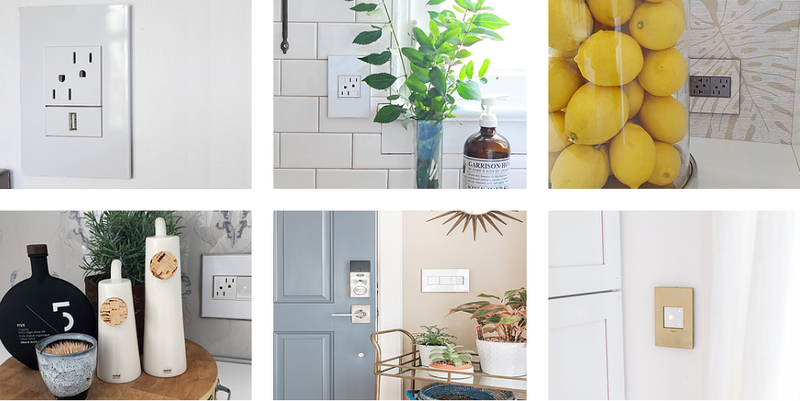 Perfect for both homes and office spaces, adorne’s Furniture Power allows you to add wall plates, switches, dimmers, and outlets directly into your furniture. From installing lighting control into your bed’s backboard or adding a charging station into your work desk, the options are endless.